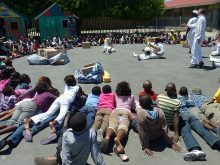 In 2011, Clowns Without Borders France and Clowns Without Borders South Africa toured together in South Africa and performed 15 shows for 3410 people. 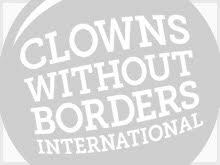 In 2011, Clowns Without Borders USA and Clowns Without Borders Belgium joined their forces in Chiapas (Mexico) to help out children from native communities and street children. They performed 24 shows for 5000 people. 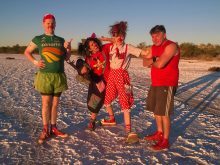 In 2011, Clowns Without Borders South Africa and Clowns Without Borders Ireland toured together in South Africa and performed 22 shows for 6000 people. In 2011, Clowns Without Borders USA went to Japan to perform 20 shows for 1300 following the tsunami. In 2011, Clowns Without Borders USA went to Haiti. In 2011, Clowns Without Borders USA went to Colombia to perform 11 shows. 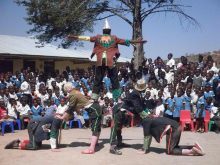 In 2011, Clowns Without Borders USA went to kenya to perform 7 shows for 2000 people. 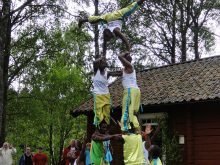 In 2011, Clowns Without Borders Sweden did a project in Sweden.